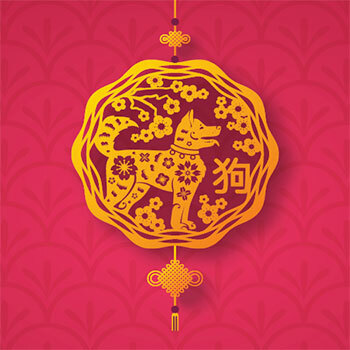 Lunar New Year, or Spring Festival, is one of the major traditional festivals celebrated in many East Asian countries, including; China, Korea, the Philippines and Thailand. The turn of the lunar calendar is honoured with traditional festivities, decoration of houses and families having meals together. Come together and celebrate the 2018 Lunar New Year. Join us for delicious Chinese dishes, Chinese lantern decorating, Mandarin lessons, dumpling making, musical performances, door prizes and more. Date and Time: Feb. 9 from 6 p.m. to 9 p.m. Location: St. Andrew's Church, 95 Darling St.
Asian tea and desserts will be hosted by LEAF students and Global Engagement Student Ambassadors. Date and Time: Feb. 14 from 1 p.m. to 3 p.m.
Join us for Chinese opera, traditional Chinese zither (Chin) concert and other East Asian musical performances. Special Asian soup will be provided at the Indigenous Student Centre. Date and Time: Feb. 15 from 10 a.m. to 6 p.m.
Juni L. Yeung is the founder of the Toronto Guqin Society, and is one of the founding members of the Toronto Hanfu movement in 2006. Juni has been dedicated to the teaching and linking of the guqin and its players since 2005. Ben Yang is the director of Global Engagement at Laurier. He grew up in Beijing, China, and received Beijing Opera singing training during grade school. Ben will explain the art form of Beijing Opera and perform a singing demonstration. Time: 5:30 p.m. to 6 p.m.